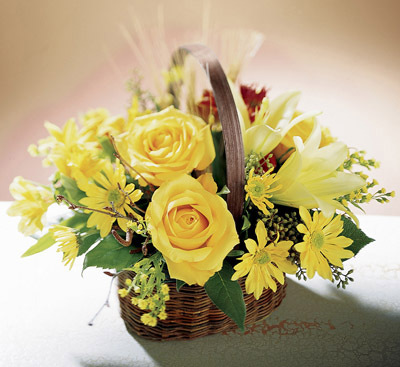 Bright yellow roses, lilies and daisy pompons reign in a rich, natural basket. Seeded eucalyptus adds soft color and fragrance. A bright and colorful arrangement to celebrate a special event - or simply the approach of autumn.